Q: What are the basic requirements to teach English abroad? A: You need a bachelors degree. It doesn’t have to be in education. My degree is in communications. Then you need to get TESOL or TEFL certified. Q: What’s TESOL and TEFL? A: TESOL and TEFL are pretty much the same thing. TESOL stands for Teaching English to Speakers of Other Languages and TEFL stands for Teaching English as a Foreign Language. Schools normally require you to have one of these certifications. If you already have a degree in teaching then you usually don’t need to take one of these courses. Q: How do I get certified in TESOl? A: Oxford Seminars has classes all over the US. I almost went through them but decided to take my class in Bangkok through the American TESOL Institute (ATI). I paid about $1000 for the three week course. Accommodation was paid for and they gave us a week of real teaching experience at a Thai school. A: I enrolled in the Special Thai Program which guaranteed me a teaching placement at the end of the course. I graduated on a Friday and had a job on Monday. It was perfect! It was also a great way to explore the culture and meet other westerners who will most likely become your lifelong friends. I would recommend taking the ATI class in PHUKET, THAILAND. Huge class, a ton of young, fun people and just a great time. Q: What should I expect to get paid? Is it enough to live in Thailand? A: When I started I was getting paid 35000 Baht a month which is about $1000 a month. That doesn’t seem like a lot but it’s very inexpensive to live in Thailand. I was able to save about $500 a month. My apartment was $150 a month, I was get daily massages, eating very well, shopping and going out – life was GOOD :) Eventually I was raised to 44,000 baht a month which is about $1300 a month… then LIFE WAS GRAND lol. Seriously though. Q: What’s it like to live in a non-English speaking country? A: Patience is key. Some people will speak a little English but don’t assume that they will. You are in their country. Be respectful. And talking louder will not help them understand you — That’s my pet peeve! My advice is to try to learn the language a little. Have fun with it. It can definitely get frustrating at times, especially if you need directions or if you want to ask for something at a store but you get used to it. You’ll start to use non-verbal communication. Thai’s are pro’s at that. In the land of smiles, I’ve learned that sometimes a smile is all you need. Q: What made you want to teach abroad? A: For me, it was a series of things. When I was in college I worked and lived at Disney World for six months. I met people from all over the world who had come to experience work and life in America. After that, I always wondered what it would be like to live in another country. Then when I was a senior in college, I studied abroad in China – I met an American who was teaching there and met his students and they all really inspired me. My college degree is in Communications and I ended up landing an Account Coordinator position at a PR firm in Manhattan after college. It was everything I ever wanted, but something was missing. I wanted to not just travel the world but I wanted to live around the world and I was determined to make that happen. After some research, teaching English seemed to be the key – So I quit my job and went for it. Q: Why did you choose to teach in Thailand? A: Thailand just fell into my lap. I had no preference to where I wanted to teach. When you want to do everything, it doesn’t really matter where you start as long as you start. 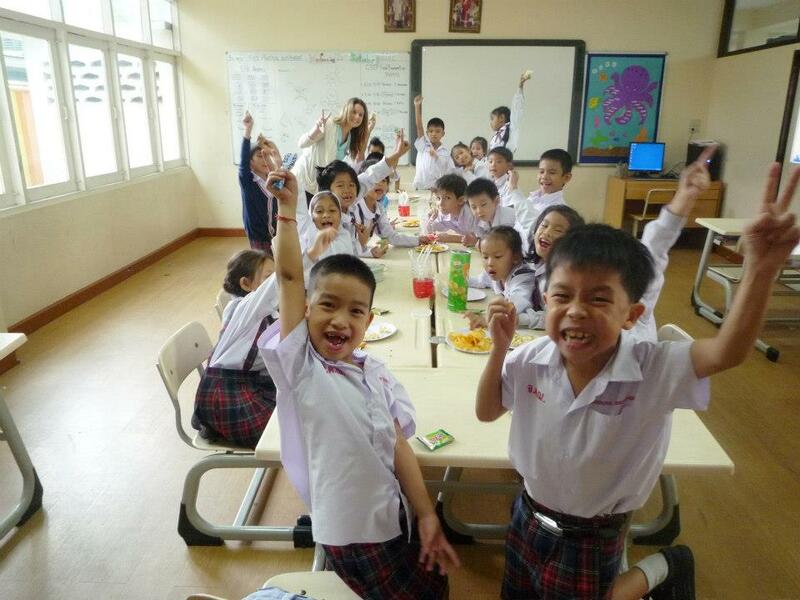 Now that I taught in Thailand, I’m so happy I didn’t go anywhere else. The hospitality and the culture there is something I have never seen anywhere else. Q: How did you like living in Bangkok? A: Bangkok reminds me of New York city but it’s more laid back. I loved it there. The transportation system is incredible so it’s really easy to get around without a car. And since there is a very large expat community, it’s easy to get a taste of western life if you’re ever feeling homesick. There’s Mexican, English, Irish, and American food.. even found an Outback Steakhouse one day! Also, I’m not much of a shopper, but Bangkok has thee most amazing malls you’ll ever see in your life! Cheap and modern housing, friendly people, amazing nightlife, and plenty of markets, parks and street food to explore throughout the day. Have more questions? Please comment below! There are numerous of ESLesl jobs in Kingdom of thailand. of firms Ecc, siam, ef etc. Most are regularly looking to recruit teachers. is sufficient enough to live on in the region. Thailand was amazing! I would definitely recommend it. And if your a certified teacher you can make really good money. Good luck, teaching abroad is life changing :) And I haven’t been to Europe yet so I look forward to seeing your posts — I’ll get there eventually! Was it safe in Thailand? Being a young female did you feel you were safe traveling alone? What program did you use to find placement teaching abroad? Hi Kate! I just stumbled upon your blog and now I cannot stop reading your posts! I am a senior in college studying early childhood education. I studied abroad in Europe 2 years ago which has made me want to teach abroad! Two of my options are Thailand and Australia… as I am trying to convince one or two friends to come along with me :) But I would love love to talk to you more about your experiences! Enjoy your time! Hi Kate, I’m currently working in Thailand, it’s nice to hear you had a great experience, thank you for sharing. Do they tend to hire people of color as teachers in Thailand? I stumbled across your blog just a few minutes ago and you have basically said everything I’ve been trying to sort out, but do you think it was important that you finished college first? Or do you think you can do most things without a degree. What do you recommend? I’ve met some older people while traveling but the thing is I couldn’t tell you their exact age — travelers are like that – You meet people you get along with and you never ask them their age .. it just doesn’t really matter. Since you’re a certified teacher I would apply for International Schools in Thailand. Look on ajarn.com. Also it’s best to put a picture on your resume as well. Just know that it is difficult to get the job unless you are already in the country. Good luck!! And now that I’m thinking about it more… there are definitely people 30 plus over there! Where are you teaching now ? I am planning on teaching in Thailand 2015, once my TEFL is completed, but I do not have a degree… do you think I would struggle finding work? Did you ever get lonely by yourself? Were there other English speakers around your age you could hang out with somewhat regularly? Nope. I cherished my alone time :) Plus, I met a ton of other young teachers there who I hung out with all the time. I met people in the class I took in Bangkok and stayed friends with them too. Teaching is no joke though. I had free time but I really wanted to be a good teacher for my students. So I spent a lot of time planning lessons and focusing on how to be a good teacher… Your experience is really want you make of it. Possible. They really look for a degree but I do know people who are teaching without it. Try media kids… my friend went through them. I’m not sure if they require a degree. Doesn’t hurt to ask! What program did you go through? Were you in Thailand while applying? Or Australia? Or New York? I’m really interested and just want to know the best program/way to go about it! Hey Kate! I have always had the same dream, not only to travel the world but to live in other countries as well. I am a communications major too and I will be graduating soon! I would absolutely love to teach English around the world, it seems like such a rewarding and amazing experience! Would you recommend taking the course any time before I decide to leave the US or do you suggest doing it right before I leave? How hard was it to get your working Visa? That’s great! I suggest doing it in the country like I did if you can. It allows you to get used to the culture and meet friends who will be living there too. Otherwise it doesn’t matter when you do it :) Good luck! Hi Kate, I was just wondering if you could tell me what Visa were you on when you went to Thailand? I’m looking at Visas now and getting confused! Hi Kate! I am planning on teaching in Thailand and have been in contact with the agency you used. I have a question for you! Are there better areas to be placed in for teaching- areas that are safer than others? What school were you at? Thank you so much! Hey Kate I’m Samantha! I love your story. Do you have an email that I could contact you at? What kind of visa do you need to work there? (Im from canada? on your first day of school did the students just stare at you because they didn’t understand english. how do you teach children if you can’t speak the same language? is it as hard as it sounds? Is there a dress code for teaching? I signed up to go take the course in Nov. of this year. I am a backpacker already, but what top things should I bring? Also, how did you handle the VISA process? Beautiful and inspiring! Congratulations on your amazing peace! What Happens When the Journey Tries to Kill You? 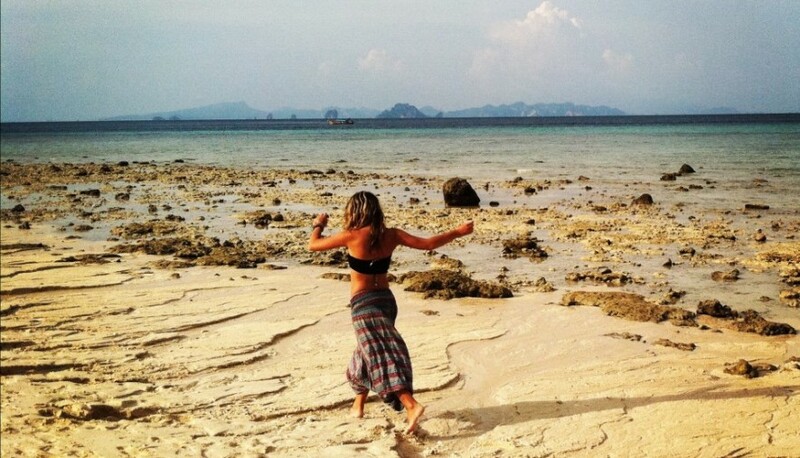 Get Paid to Teach English in Thailand – April 2015!